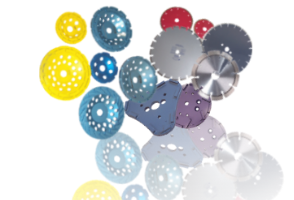 SPE Diamond Cutting blades - designed for superior performance and long cutting life. The SPE range of diamond cutting blades offer the user a selection of professional high quality products suitable for the cutting of concrete, asphalt, natural stone and soft abrasive materials. High diamond concentration ensures increased production rates and long life.